I entered the crazy wagon again! I have made my own personal 30/30. 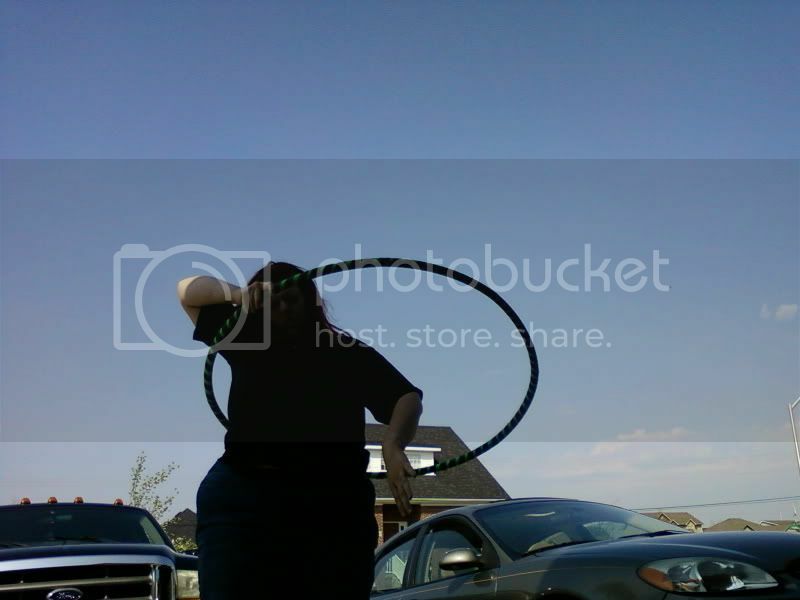 And it's great cause I am SO in the hooping mood. I just can feel myself being so close! Nan hasn't seen me hoop in a month and she's amazed at my development. Remember that little girl who can do those things that I struggle with? She's jealous! Jealous of me! OF ME! Yes, I am yelling. You should see me in person. I told her, "Why are you jealous of me? You can do things that I had to work hard on?" She mumbled something about me just being better. Hmm. Kids are crazy, yo. I didn't even realize it was a new month until today. I did hit my goal when I realized I hooped in the parking lot of church for 30 minutes. Go me. I need to make a new work hoop though. It makes 30/30 so much easier. PS: Late edit: If you have facebook, scroll on down to LIKE the new Whole Lot of Hoop Love page. Then, you can get my updates and all that. Maybe this has to do with me talking about hooping too much on FB. Or if you are lazy, here is a link! 30/30 is the best! I honestly miss not doing it - even though I hoop a lot most days there was something so nice about KNOWING that it was going to be a consistent part of my day! Gooood luck!